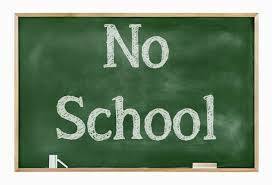 READY REMINDER: There will be NO SCHOOL on Friday, April 19th and Monday, April 22nd for Spring Holiday. We will resume regular schedule on Tuesday, April 23rd. 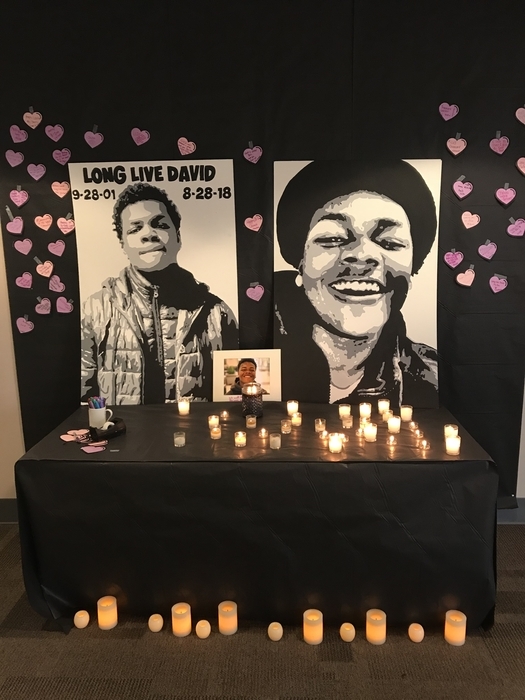 Please call the office at 217-239-0322 with any other questions or concerns. Thank you! All READY Program students in 9th, 10th & 11th grades will have PSAT/SAT testing tomorrow, Tuesday, April 9th and should arrive by 8:15AM. Testing starts at 8:30AM sharp. No late arrivals will be allowed in. 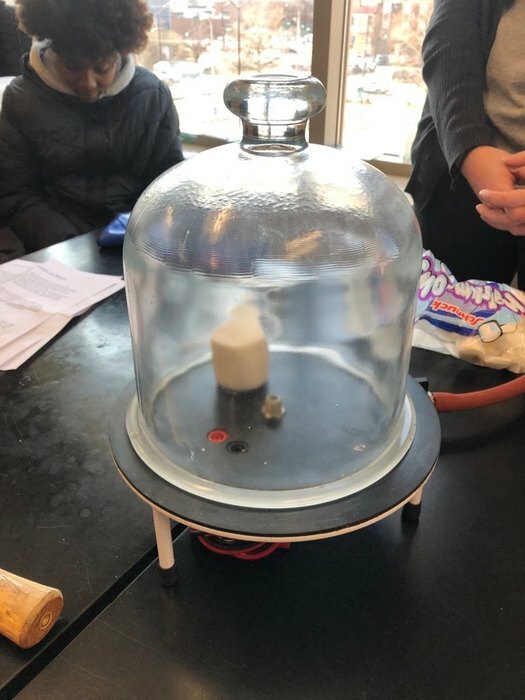 No phones during testing. Please call (217) 239-0322 with questions. READY Update: There will be school for ALL students tomorrow, March 14th & early dismissal at 11:30AM. Students will have their 1st, 5th, 6th & Lunch. Parent-Teacher Conferences will be held tomorrow from 2:30PM - 8PM. Please call (217) 239-0322 for an appointment. Thank you! 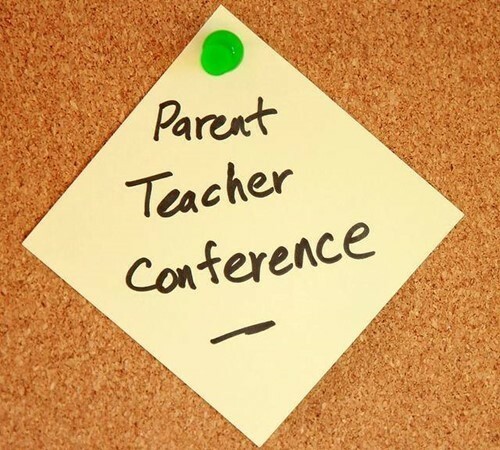 READY Reminder: Parent-Teacher Conferences will be held on Thursday, March 14th from 2:30PM - 8PM. Please call (217) 239-0322 for an appointment. Dinner will be served from 4PM - 6PM in the cafeteria. There will be early dismissal at 11:30AM (1st, 5th, 6th, Lunch). READY Reminder: P/T Conferences will be held on Thursday, March 14th from 2:30PM - 8PM. Please call (217) 239-0322 for an APPT. Dinner will be served from 4PM - 6PM in the cafeteria. There will be early dismissal at 11:30AM (1st, 5th, 6th, Lunch). No School Friday, March 15th. 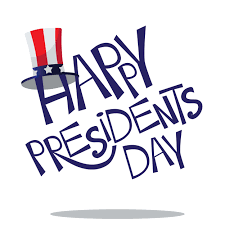 READY REMINDER: There is NO SCHOOL tomorrow, Monday, February 18th for Presidents' Day. We will resume regular schedule on Tuesday, February 19th. Please call with any other questions or concerns at (217) 239-0322. The READY Program will open tomorrow (Thursday) at 9:30 AM. Classes will begin 2nd hour and lunch will be served at noon. 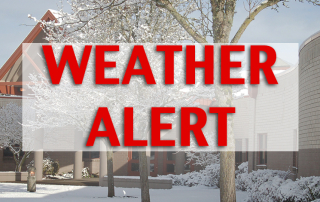 READY Alert: The Champaign-Ford Regional Office of Education and the READY Program will be closed on Wednesday, January 30th due to extreme cold temperatures. 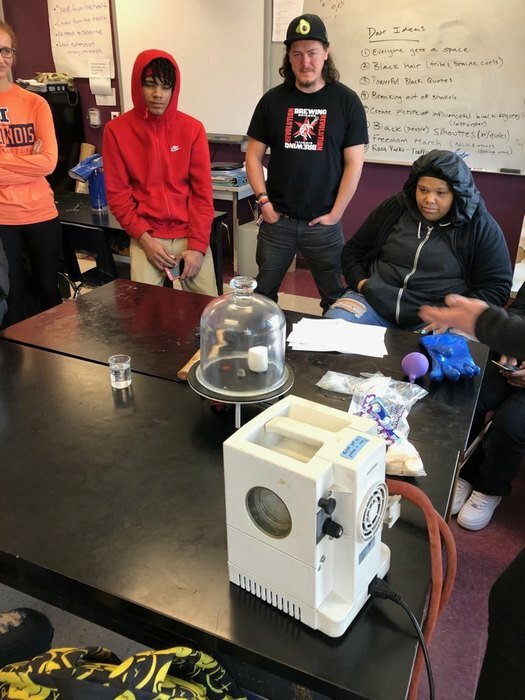 The ROE and READY Program will re-open at 9:00AM on Thursday, January 31st. Classes will begin at 9:30AM on Thursday. 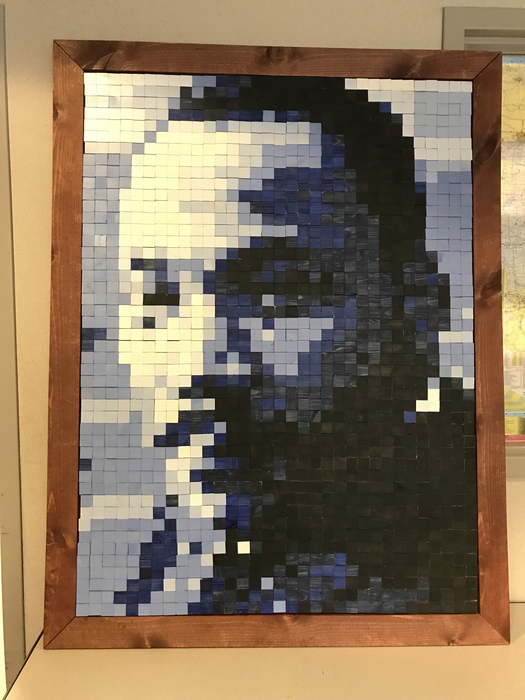 In honor of Martin Luther King Jr., check out this mosaic created by Mr. Leaman’s and Mr. Dewhirst's 1st hour class. 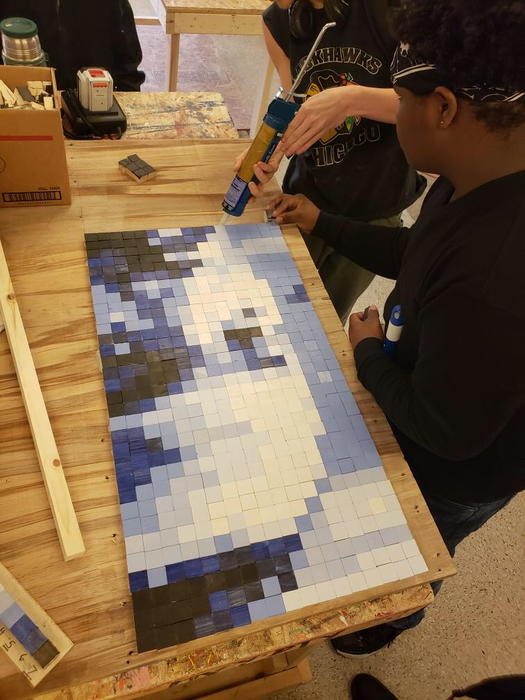 Students who participated cut, sanded, stained and assembled over 1,500 wooden tiles to create a pixel portrait of Martin Luther King Jr. Like Dr. King said...”Whatever your life's work is, do it well.”... and these guys did AMAZING! 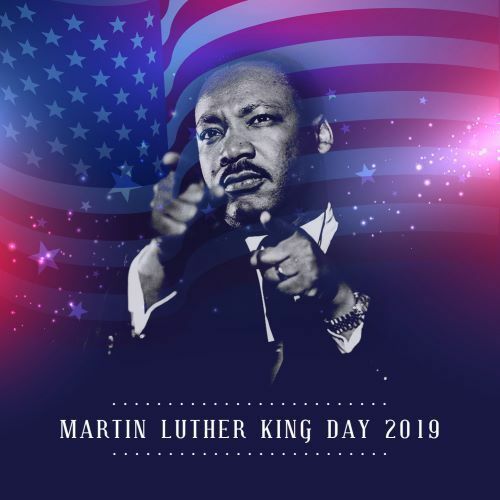 READY REMINDER: There is NO SCHOOL tomorrow, Monday, January 21st for Martin Luther King Jr. Day. We will resume regular schedule on Tuesday, January 22nd. Please call with any other questions or concerns at (217) 239-0322. READY REMINDER: We will have 11:30AM dismissal today for School Improvement. Students will have their 1st-3rd hours from 8:33AM - 11:09AM. Lunch will be provided until 11:30AM. NO SCHOOL Monday, January 21st for MLK Day. Please call with any other questions at (217) 239-0322. READY REMINDER: We will have 11:30AM dismissal tomorrow, Friday, January 18th, for School Improvement. Students will have their 1st-3rd hours from 8:33AM - 11:09AM. Lunch will be provided until 11:30AM. Please call with any other questions at (217) 239-0322. Thank you! 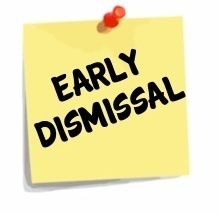 READY REMINDER: We will have 11:30AM dismissal on Friday, December 21st for School Improvement. Students will have their 2nd and 4th hour on Friday from 8:35AM - 10:50AM. Lunch will be provided until 11:30AM. Please call with any other questions at (217) 239-0322. Thank you! 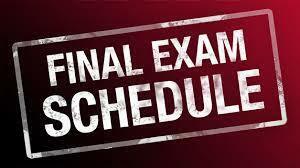 Final Exam Schedule for Friday (12/21): 2nd Hour: 8:35AM - 9:40AM 4th Hour: 9:45AM - 10:50AM LUNCH: 10:50AM - 11:30AM Student Dismissal After Lunch *Seniors passing their classes do not have to take final exams. 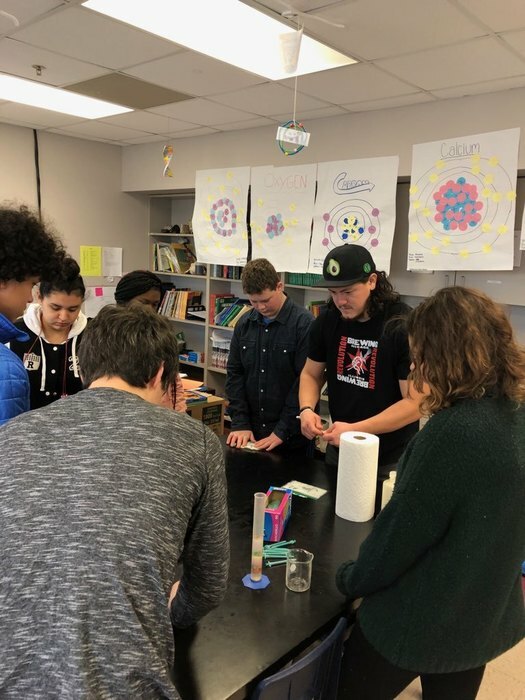 Final Exam Schedule for Thursday (12/20): 1st Hour: 8:35AM - 9:40AM 3rd Hour: 9:45AM - 10:50AM LUNCH: 10:50AM - 11:20AM 5th Hour: 11:25AM - 12:30AM 6th Hour: 12:35PM - 1:40PM Student Dismissal @ 1:40PM *Seniors passing their classes do not have to take final exams. 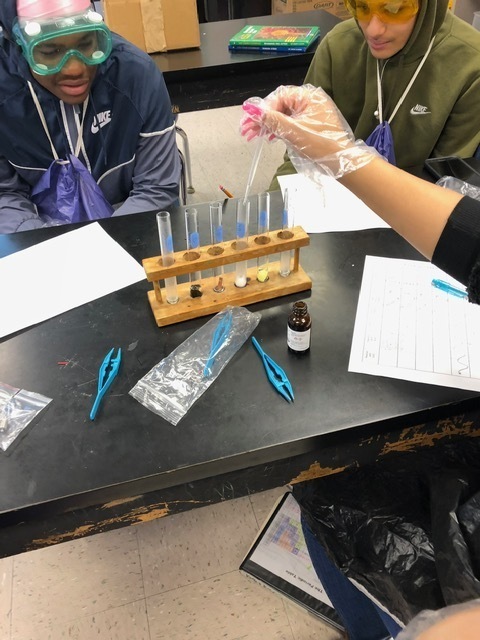 Students are learning "What Elements Have Chemical Reactions" today in Ms. Abutaleb's Intro to Chemistry class. 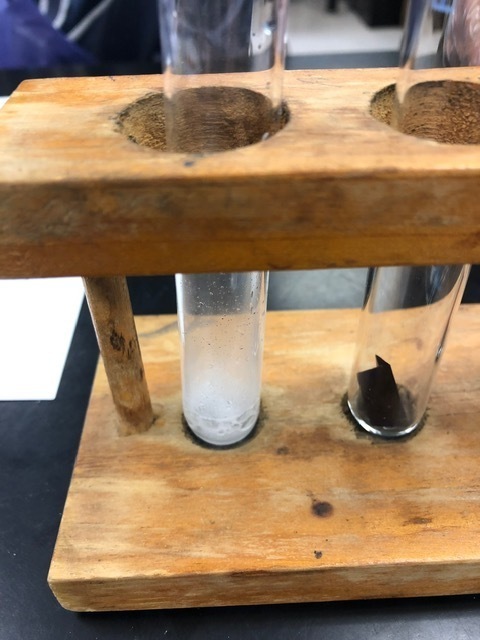 Check out their progress! 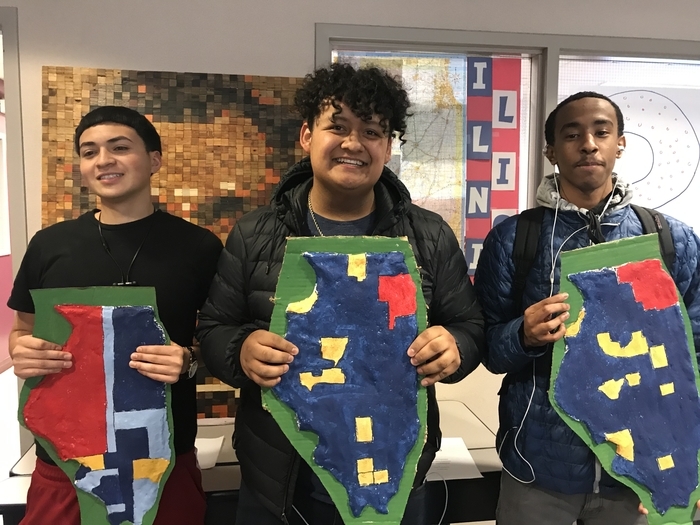 Students made salt maps representing the population changes in Illinois from 1818 to present day. 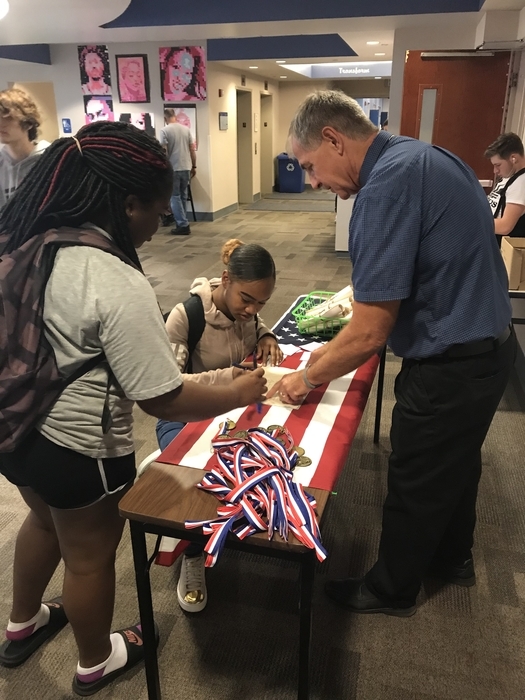 READY students are celebrating the 200th birthday of Illinois. 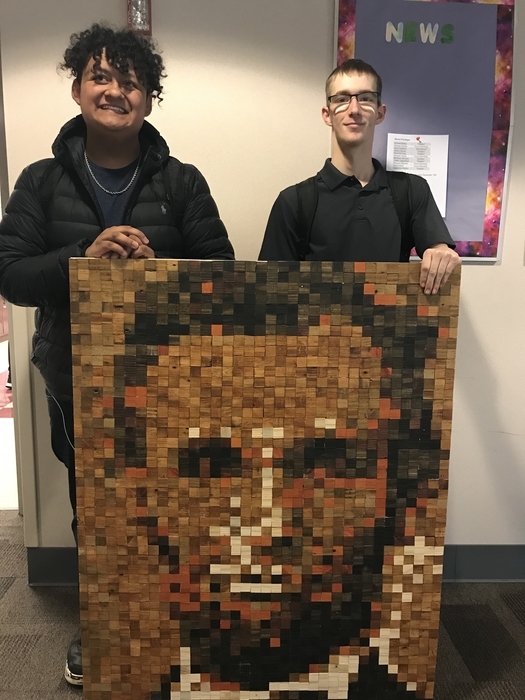 It took 1728 squares to complete the wooden mosaic of Abraham Lincoln. 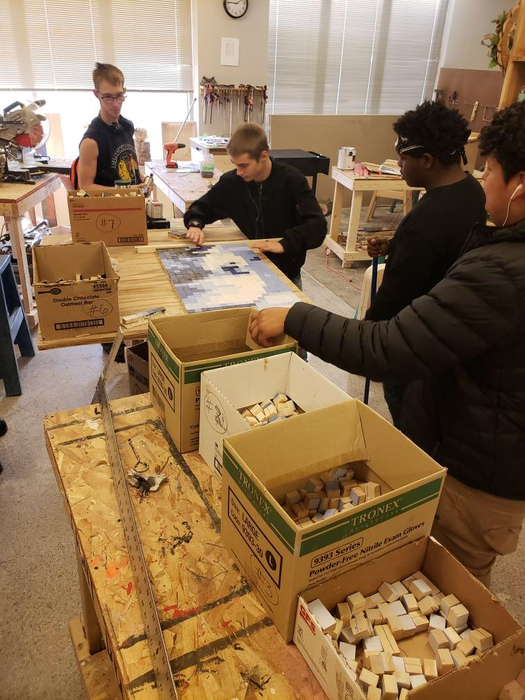 John Leaman and Seth Dewhirst had their students cut reclaimed pallet wood to create the design. 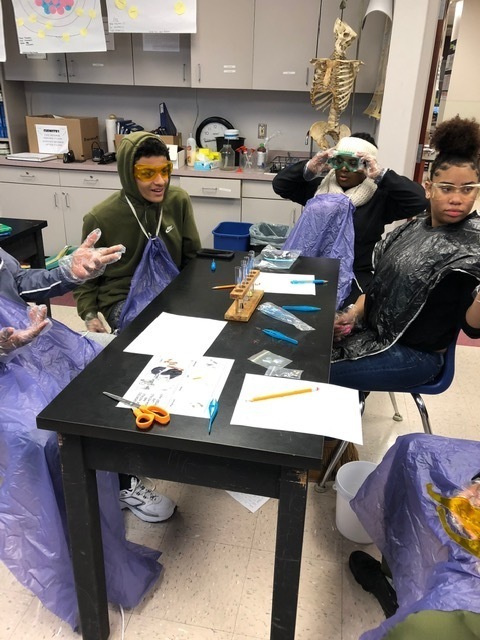 READY REMINDER: There will be NO SCHOOL Wednesday, November 21st - Friday, November 23rd for Thanksgiving Break. We will resume regular schedule on Monday, November 26th. Please call with any other questions at (217) 239-0322. Thank you and HAPPY THANKSGIVING!! 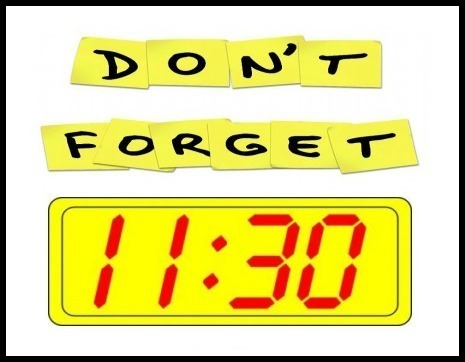 READY REMINDER: We will have 11:30AM dismissal tomorrow, Friday, November 9th for staff in-service. Students will have their 2nd, 4th and 6th hour from 8:33AM - 11:09AM. Lunch will be provided until 11:30AM. Please call with any other questions at (217) 239-0322. Thank you! READY Update: We will have 11:30AM dismissal on Friday, November 9th for staff in-service. Students will have their 2nd, 4th and 6th hour from 8:33AM - 11:09AM. Lunch will be provided until 11:30AM. Please call with any other questions at (217) 239-0322. Thank you! READY REMINDER: NO SCHOOL Today, Friday, 10/26 for Parent Teacher Conferences. Have a great weekend and we will see you Monday! READY REMINDER: We will have 11:30AM dismissal for School Improvement Day today, 10/25. P-T Conferences will be from 2:30PM-8:00PM at READY. Please call the office at (217) 239-0322 for an appointment time. We will serve dinner between 4PM-6PM in the cafeteria tonight. NO SCHOOL Friday, 10/26. READY REMINDER: We will have 11:30AM dismissal for School Improvement Day tomorrow, 10/25. P-T Conferences will be from 2:30PM-8:00PM at READY. Please call the office at (217) 239-0322 for an appointment time. We will serve dinner between 4PM-6PM in the cafeteria. NO SCHOOL Friday, 10/26 for Parent Teacher Conferences. READY REMINDER: On Thursday, 10/25 we will have 11:30AM dismissal for School Improvement Day. Parent Teacher Conferences will be from 2:30PM-8:00PM at READY. Please call the office at (217) 239-0322 for an appointment time. NO SCHOOL Friday, 10/26 for Parent Teacher Conferences. The ROE and READY Program would like to congratulate our own Alexis Cain. 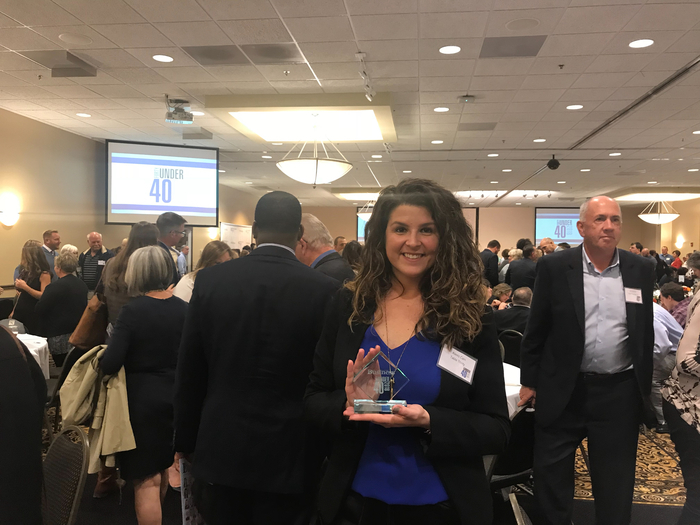 Alexis is being recognized today at the 40 Under 40 luncheon for her contributions to our school and making a difference to families throughout our community. 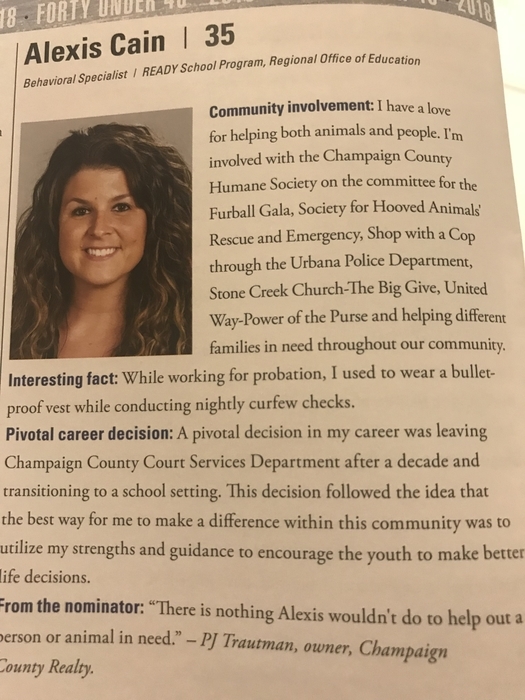 When she is not at work, Alexis volunteers her time with the Champaign County Humane Society, participates in the Shop with a Cop Program, and supports her church and the United Way. Alexis continually goes out her her way to help others! I am honored to work with Alexis and see the impact of her contributions on a daily basis. 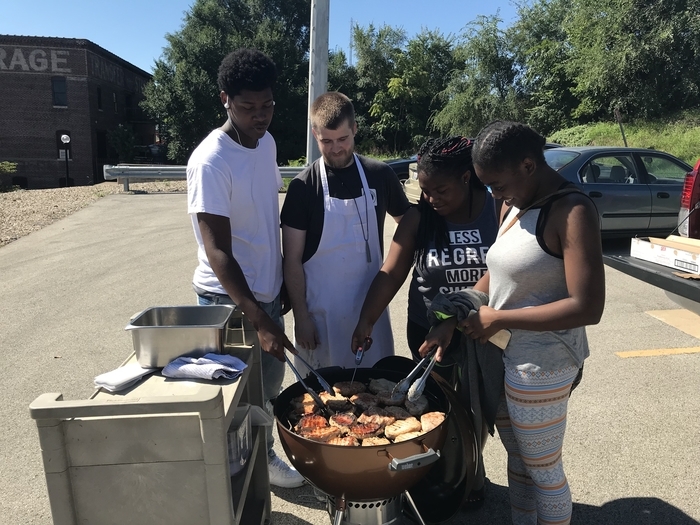 Culinary Arts class is having a class on grilling. 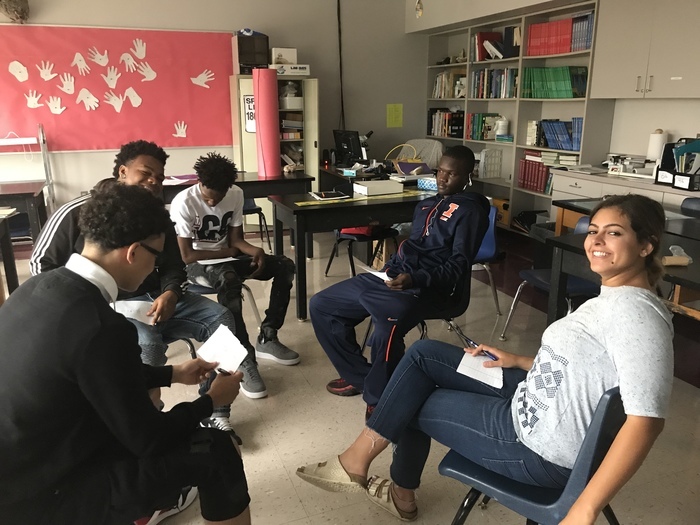 Sharing our Restorative Practices. 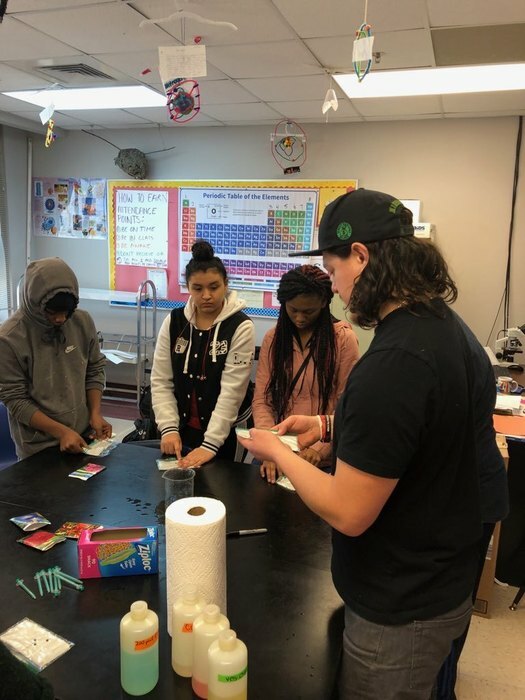 We are community building at READY! Copyright © ROE 9 2019. All rights reserved.